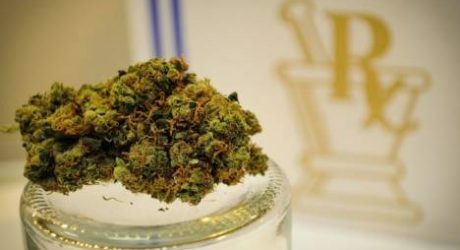 The US Food and Drug Administration (FDA) recently granted orphan drug approval for Chrysoeriol, a cannabis-based drug used to treat acute myeloid leukaemia, which was developed by Jamaican scientist Dr Henry Lowe. Lowe founded Medicanja Ltd — described as “Jamaica’s first medical cannabis company” — in 2013. Its distinguished board of directors includes two former prime ministers and a former governor general. The US Orphan Drug Act gives special status to a drug or biological product to treat a rare disease or condition upon the request of a sponsor. Under the act, Lowe will qualify for some development incentives, including tax credits for some clinical testing. After presenting his research findings at the 2017 Global Health Catalyst Summit at Harvard Medical School in April 2017, Lowe made the announcement at a July 12 press conference at his wellness resort in Kingston, which both Prime Minister Andrew Holness and science and technology minister Dr Andrew Wheatley attended. The prime minister congratulated Lowe, while injecting a note of caution when he promised that the government will ensure compliance with international standards, “because cannabis and the (medication) that could potentially come from it are still not recognised in many countries, and some countries still consider it illegal”. Chrysoeriol was developed by Lowe’s Maryland-based company, Flavocure Biotech LLC; he insists that he will not allow “big pharma” to purchase the drug, which he says would “park” it, despite the US$15 million to $50 million such a sale would potentially earn him. Rather, he is hoping to make enough money – US$3.5 million to be exact — to continue his research and ready the drug for the retail market in about two to three years’ time. While he is hoping to raise the necessary funding locally, Jamaican banks have not been as supportive as he would have hoped. Wheatley supported Lowe’s stance, reiterating that it is important for Jamaicans to “own the rights to our research… and not become second-hand users or owners of the products”. For his part, Lowe took the opportunity to call for more financial support for scientific research in Jamaica, explaining that if the country procured even a fraction of the lucrative global pharmaceutical and nutraceuticals industries, it would help economic growth. Jamaica is currently doing quite well under an International Monetary Fund precautionary stand by arrangement, but still struggles with low growth. Jamaicans responded positively to the news of one of their own — and a scientist at that — making such an important contribution to cancer treatment. On the other hand, the news prompted some to return to a widely held belief that Jamaica has not taken sufficient steps to regulate or profit from marijuana (locally known as ganja), whether medicinal or recreational. The Dangerous Drugs (Amendment) Act 2015, also referred to as the Ganja Reform Law, created the framework for the decriminalisation of offences under the Act, making possession of less than two ounces of ganja only a ticketable offence and no longer a crime. One Jamaican felt that Lowe would not be given credit by some politicians, because they don’t want to address the issue. This, even though there is potentially money to be made from recreational ganja in Jamaica. While many Jamaicans remain impatient, the Jamaican government is taking tentative steps towards embracing the potentially profitable nutraceutical business — including a closer look at medicinal marijuana. At the same time, health minister Christopher Tufton has just announced that the National Council on Drug Abuse will be launching a full-scale public education programme on the dangers of ganja smoking among adolescents.